If you are uncertain of where to begin, then this seminar is for you. 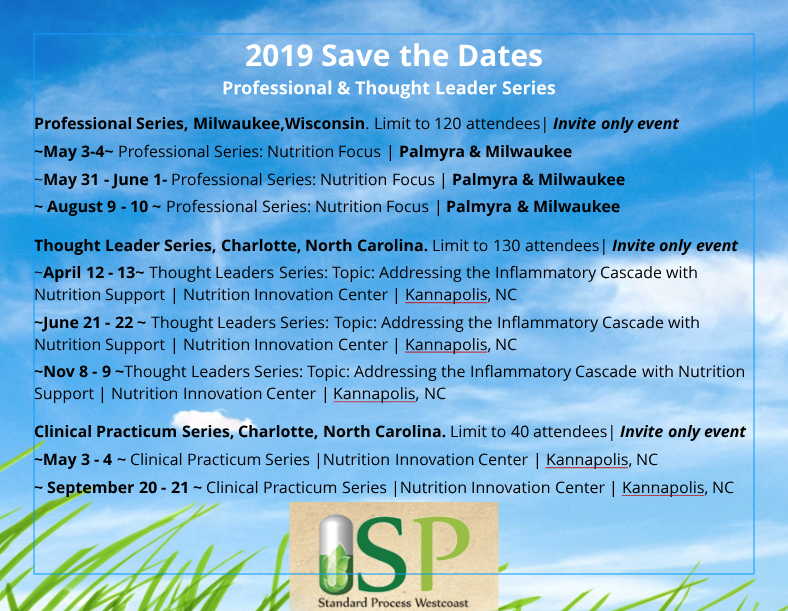 We invite you to this exclusive 2-day event that will teach you the founding principles behind Standard Process whole food nutrition and how to use our core products in your practice. This will make it easy for you to begin helping your patients achieve optimal health through the use of whole food nutrition.